Microsoft blames Hangouts' lack of support for XMPP for discontinuing chats in outlook.com. But doesn't explain reason for discontinuing Facebook chat. Microsoft will soon end support for Facebook chat and Google Chat in Outlook.com. The company has already notified Outlook.com customers via e-mail. Microsoft says it ended support for Google Chat due to Google's decision to discontinue the chat protocol used by the Google Talk platform. Microsoft points out that Hangouts has replaced Google Talk and does not support XMPP. XMPP is explained as the Extensible Messaging and Presence Protocol; an IETF standard for instant messaging. XMPP was earlier called Jabber, and the XMPP enhancement proposals (XEPs) were previously called Jabber Enhancement Protocols (JEPs). However, Microsoft does not explain why it has discontinued support for Facebook Chat. "We understand that this may disappoint some of our customers, but we hope that you'll try Skype for Outlook.com chat, and voice, video calling, so you can take advantage of the more robust ways to keep in touch with friends and family," says Microsoft in the e-mail to Outlook.com customers. Microsoft will be evidently using the opportunity to push its Skype services to its popular Outlook users. However, the move is in contrast with Microsoft's recent efforts to go cross-platform. 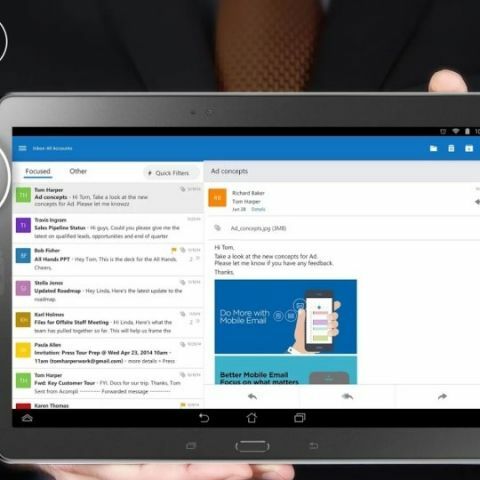 The company has been rolling out its popular services including Microsoft Office apps beta to Android tablets. "Most Outlook.com customers already prefer to use Skype when they are chatting and we see this as a great option for anyone impacted by Google's decision to shut down Google Talk and associated APIs, or the recent deprecation of Facebook Chat for Outlook.com,” Zdnet quotes a Microsoft spokesperson as saying. Within the next couple of weeks, we will be discontinuing support for Facebook Chat in Outlook.com. And due to Google’s decision to discontinue the chat protocol used by the Google Talk platform, we can no longer provide Google Chat in Outlook.com. We understand that this may disappoint some of our customers, but we hope that you’ll try Skype for Outlook.com chat, and voice and video calling, so you can take advantage of the more robust ways to keep in touch with friends and family. This update will not impact the connection to your Facebook and/or Google accounts, which means your People page will stay updated with the latest contact information from the services you’ve connected. We’re confident that Skype for Outlook.com provides the best experience for chatting and making voice or video calls, right from your inbox, when the conversation warrants richer communication than an email exchange. 1. Activate Skype for Outlook.com by clicking on the Messaging icon in your inbox header. 2. Click on the Skype icon to join or sign in. Link your Outlook.com email with a Skype ID if you already have one, or use your Outlook.com address to create a new one. 3. Navigate to the People page, and add existing contacts as Skype contacts, or add new contacts. You’re ready to start chatting. 4. To make free Skype to Skype video and voice calls right from your inbox, simply download the plugin. We remain focused on making Outlook.com the best email service available. Thanks for your understanding and continued use.